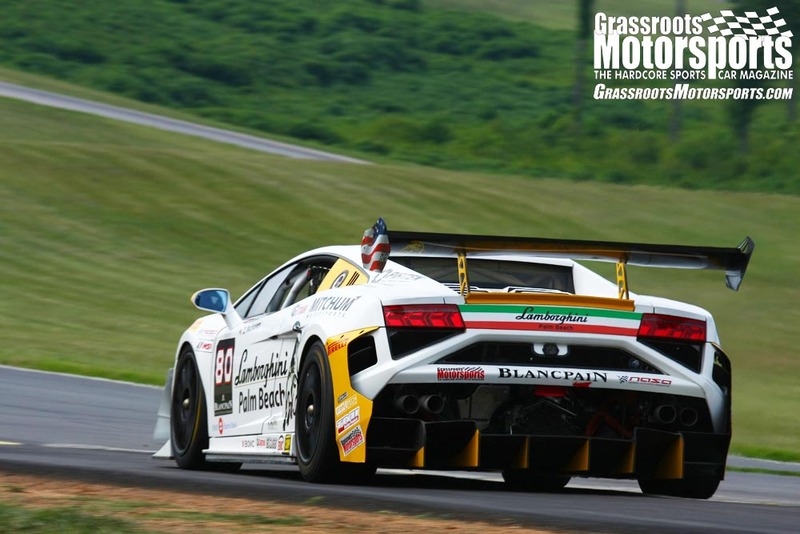 When it comes to engine swaps, simply fitting the new powerplant under the hood is only half the battle. It’s the detail work that separates an awesome build from a piece of stagnant garage art. Our test subject is a Miata-powered MGB GT, and in the first installment we spent considerable time getting our new powerplant properly situated in the engine bay. We made sure the engine was both straight in the chassis and level from side to side. 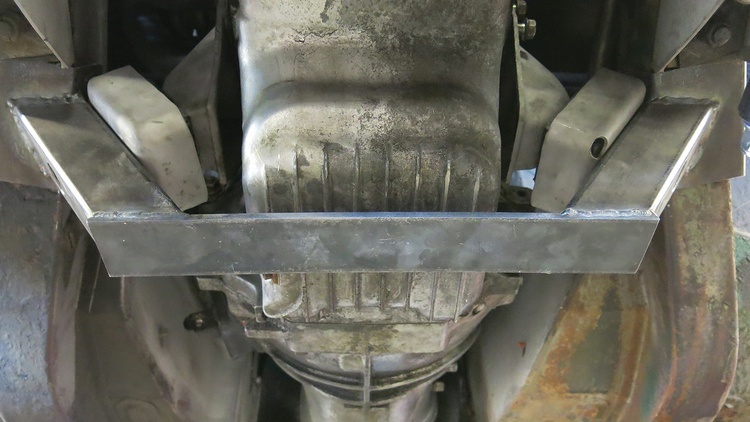 We also kept the original engine’s 3-degree slope–this retains the stock pinion angle and keeps the driveline happy. Our one compromise involved the shifter: It now sits about 2 inches farther back, requiring a small tunnel modification. We could have modified the shifter instead, but this seemed like the best fix in our case. Now begins the detail work: designing a set of engine mounts that make this swap look and function like a factory installation. 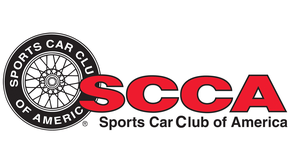 This process applies to a broad variety of applications, because unless the aftermarket has already produced a bolt-together solution for your swap, we’ll both be traveling down a similar road. Follow along. 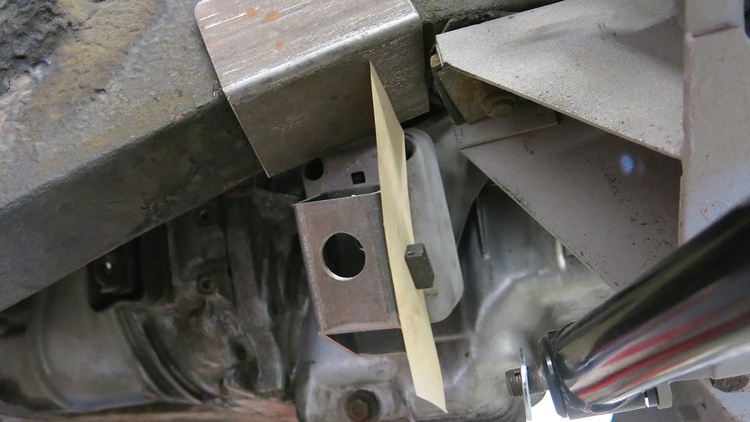 The MGB engine mounts are located at the front of the engine, while the Miata’s are lower and toward the middle of the block. 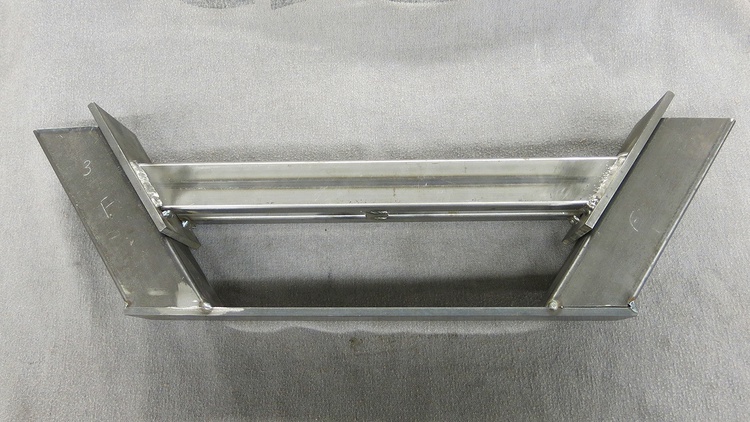 We decided to make a cradle that bolted the new engine to the MG’s unibody subframe. Measuring the width of the subframe rails told us that a piece of 3x3-inch square tubing would work for the subframe mount once we cut off one wall. Since we’re trying to make this a single-donor swap, and since we don’t like having to engineer anything that the factory already did well, we chose to use the stock Miata rubber engine mounts. 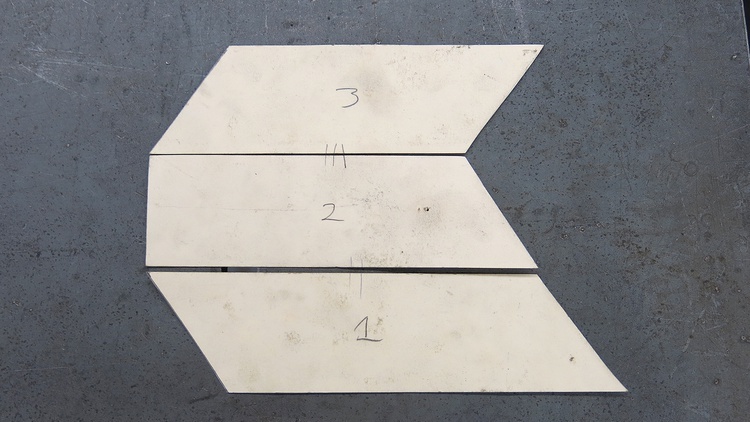 First, we bolted a short piece of 2x2-inch steel to each mount for use as a locator for our paper patterns. 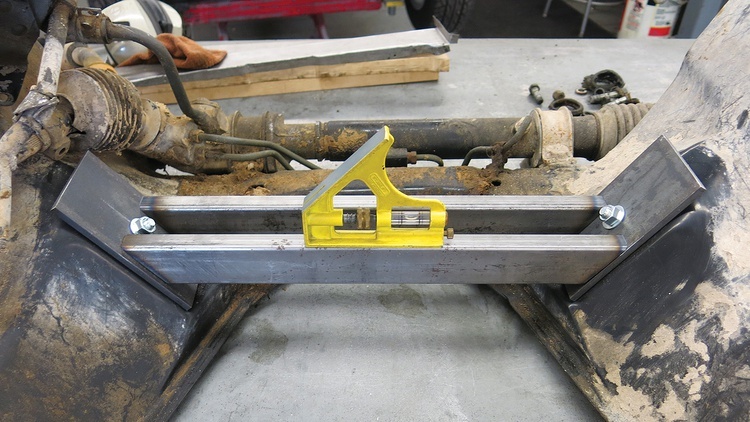 Then, we mounted the U–the piece that we created in the previous step–to the subframe. Now we could start to make a pattern for the next part of our cradle. File folders make great paper patterns for fabrications, so we cut some 2-inch strips and got started. Magnets held the pattern in place while we worked. Although we could have patterned all four sides of our piece, we saved a little time by patterning just three–we could derive the last side from the other pieces. We numbered the patterns to keep them in order and used witness marks to ensure proper alignment. 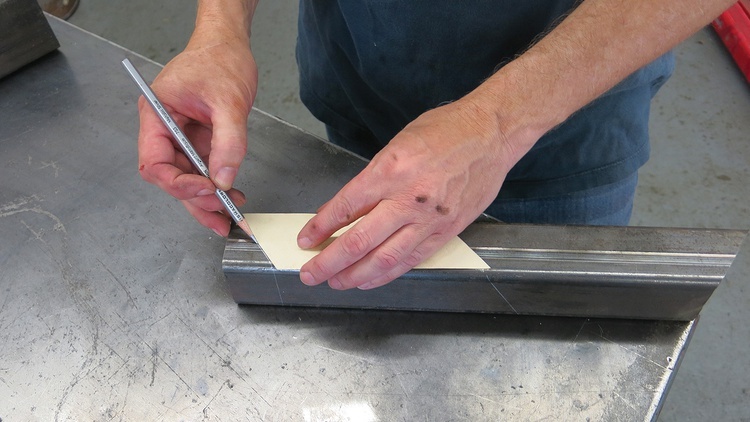 We then transferred our patterns to our 2x2-inch tubing, making sure to line up the witness marks. Note the gray marking pencil, which we kept very sharp. These pencils are great for fabrication projects and are available at welding supply stores. 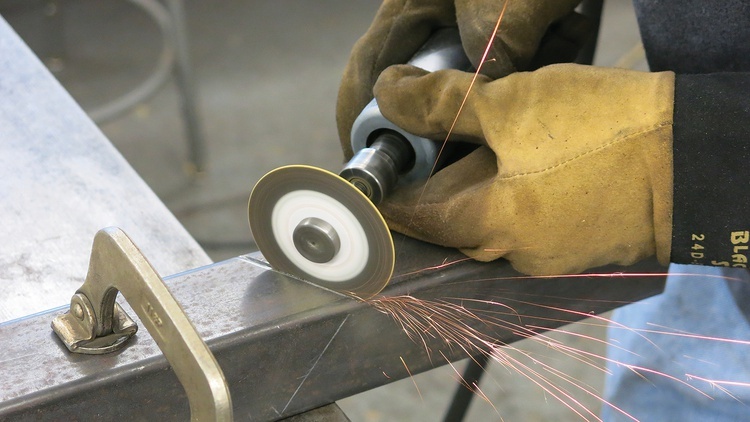 A cutoff wheel fitted on a die grinder easily cut the tube to size. A bandsaw, hacksaw, chopsaw or reciprocating saw could have done the work as well. Our cradle needed a way to attach to the rubber engine mount. We drilled an 8mm hole on the other side of this arm that could accept the rubber engine mount’s attachment stud. This side then needed a larger hole so a socket could tighten a 14mm nut onto the stud. We used a 1-inch hole saw to drill that hole. Our mounting ears are mirror images of each other. Note that they’re rough-cut–we still needed to do some trimming and fitting. Sure enough, there were some fit issues once we bolted them up and put them in position. Several rounds of fitting, adjusting, re-fitting and more adjusting ensued. 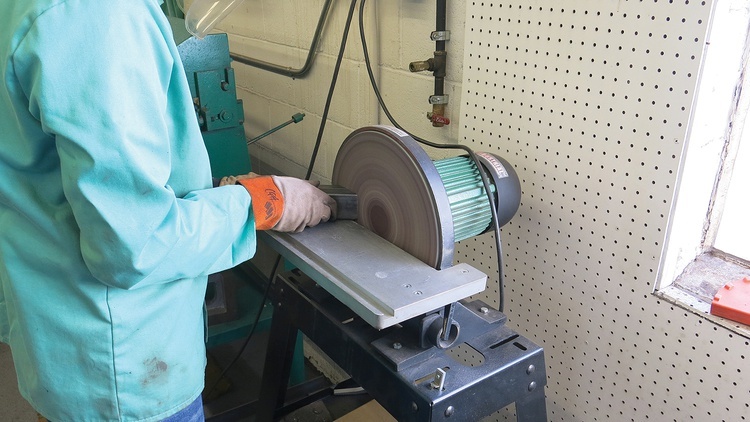 We used an imported 14-inch sander for this job, but almost any type of sander or grinder could have worked. We confess that we got too aggressive with our adjusting and had to remake one of the mounts. Mistakes happen, and we just fixed ours and moved on. Miata engine mounts are made of flexible rubber, so we started with fresh, brand-new ones. 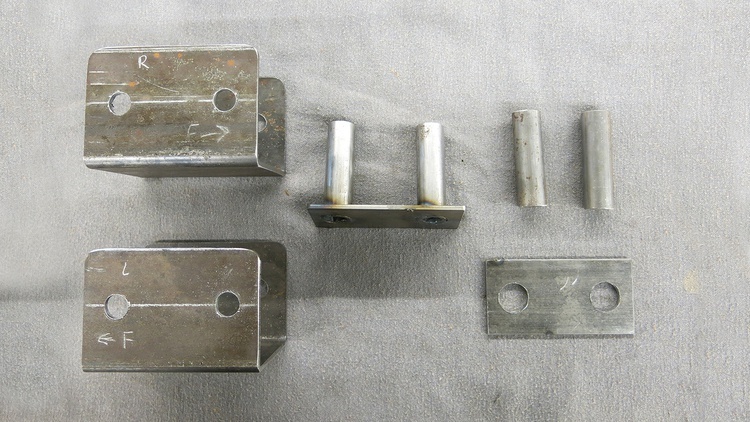 These mounts needed to fit perfectly, because an imprecise fit could lead to extra stresses and early failure. Our solution was to build a jig from the Miata subframe to make sure our cradle fit as intended. Our little jig allowed us to test-fit and adjust the cradle until it fit perfectly with both the engine and our U-shaped mounts. Time to turn our attention back to those U-shaped pieces. 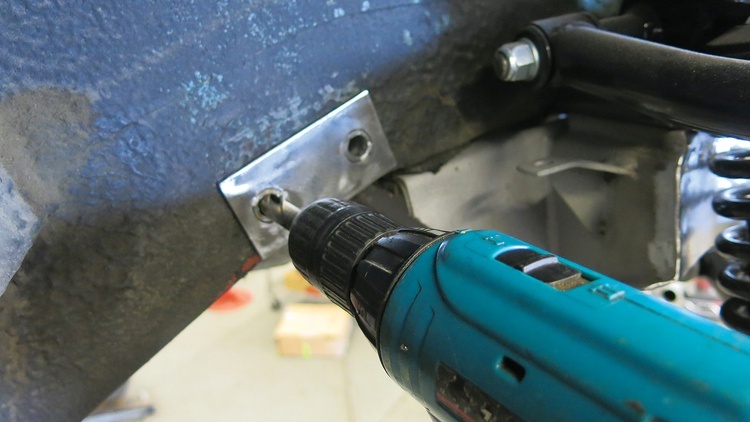 We wanted our mounts to bolt in, so we drilled the U-shaped pieces for half-inch bolts. 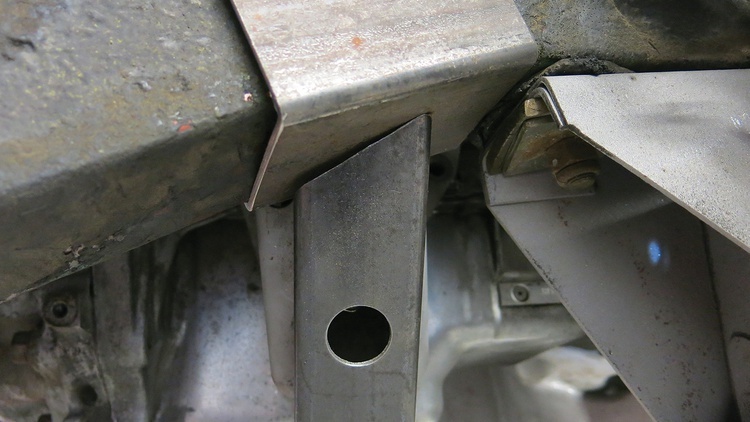 Now, an important detail: Since the MGB’s subframe is hollow, we needed to reinforce it with short tubes. Locking fasteners wouldn’t be enough, since bolts need to stretch to properly fasten. 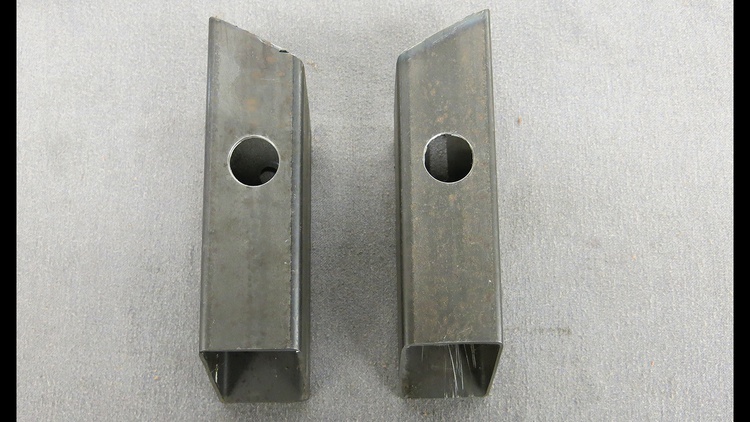 Bypassing these reinforcement tubes is a critical mistake in many fabrications. Without them it’s not possible to properly tighten the bolts, and problems will follow. 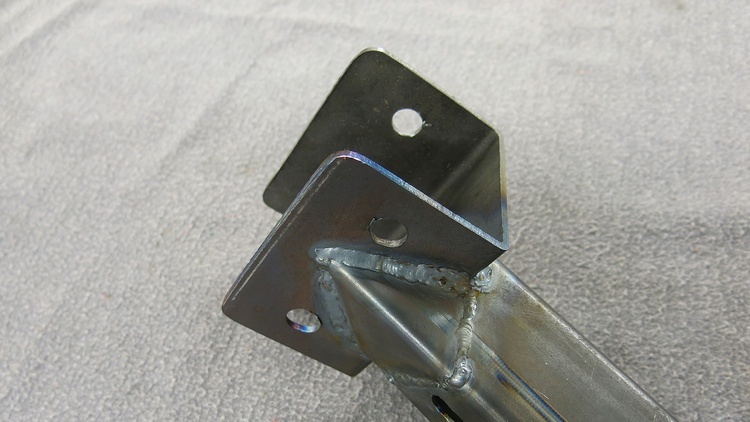 The hollow subframe will be crushed and prevent the fasteners from achieving proper torque. 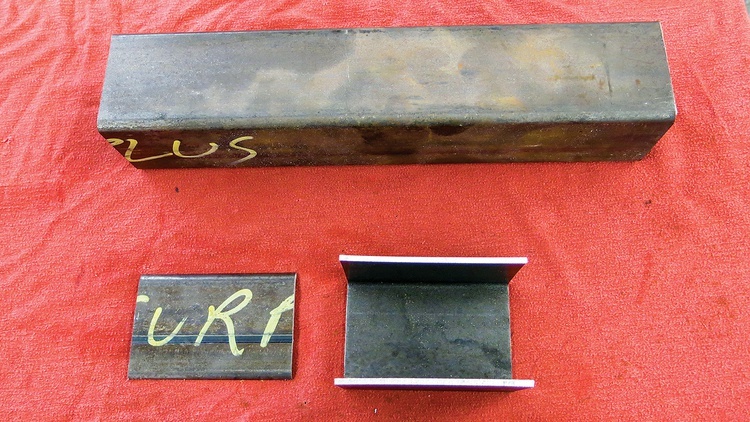 Rather than weld our tubes directly to the MGB’s subframe, we first welded them to plates. This will make it easier to align everything. 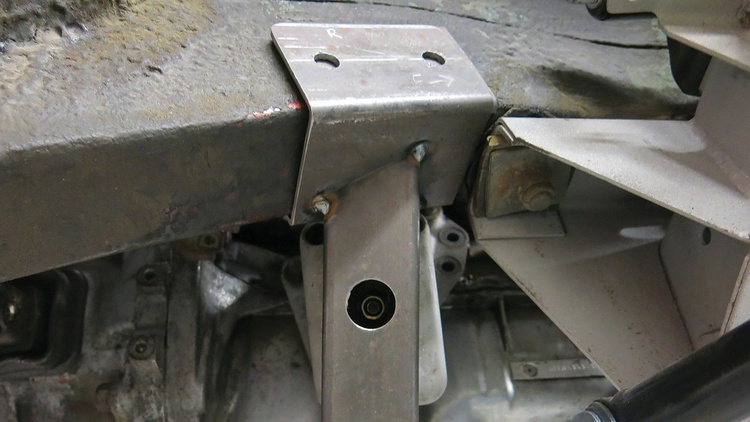 Getting closer: We placed the U-shaped pieces back on the unibody and tack-welded the cradle to them. Then we completed the welding with the cradle off the car. We also added some filler pieces. See how the engine mount hole is slotted? This directly copies the slot found on the Miata subframe and eases engine installation. Details like this make a big difference later on. Our finished, welded cradle could now go back in the car. 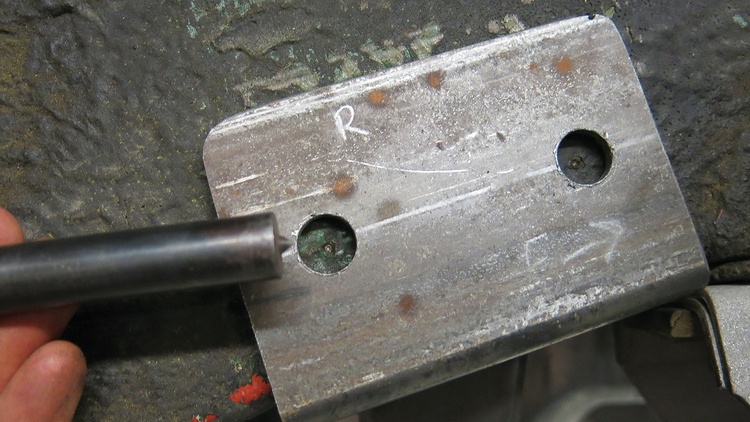 We bolted the cradle to the engine and used a transfer punch to mark the centering holes for our tube plates. We drilled 1/8-inch pilot holes before using a hole saw to cut the final holes. We then put our plate in position and drilled through to the other side. 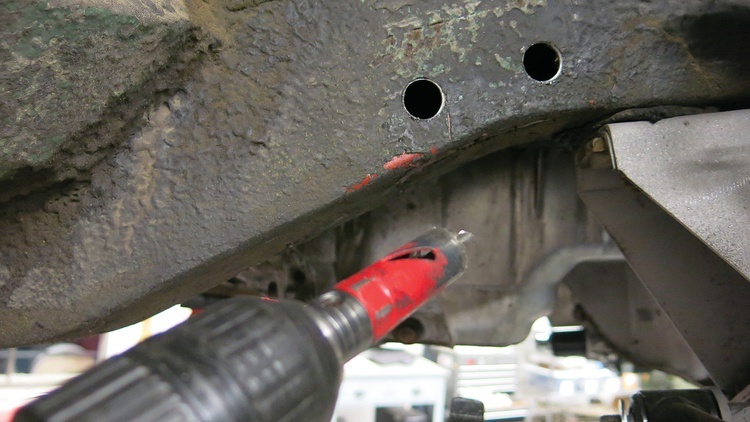 This may seem more complicated than just welding the support tubes to our subframe, but we did it this way so our bolts would be precisely aligned. An egged-out hole from bad alignment is not acceptable. 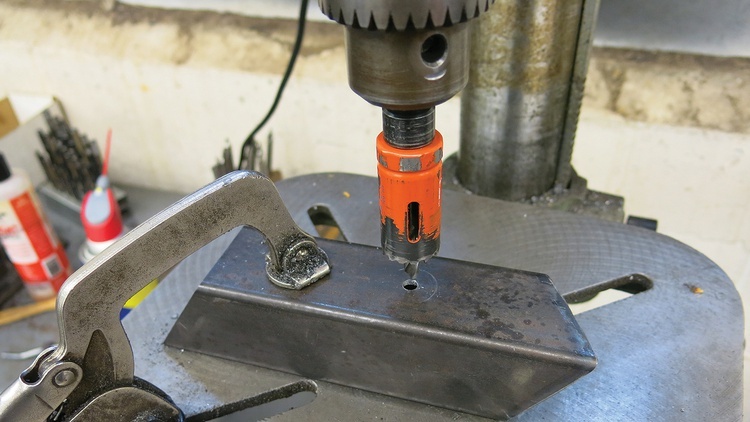 Not only does our plate hold the support tubes, it’s also a precise drill jig. Success: We used our new cradle to mount the engine to the chassis. 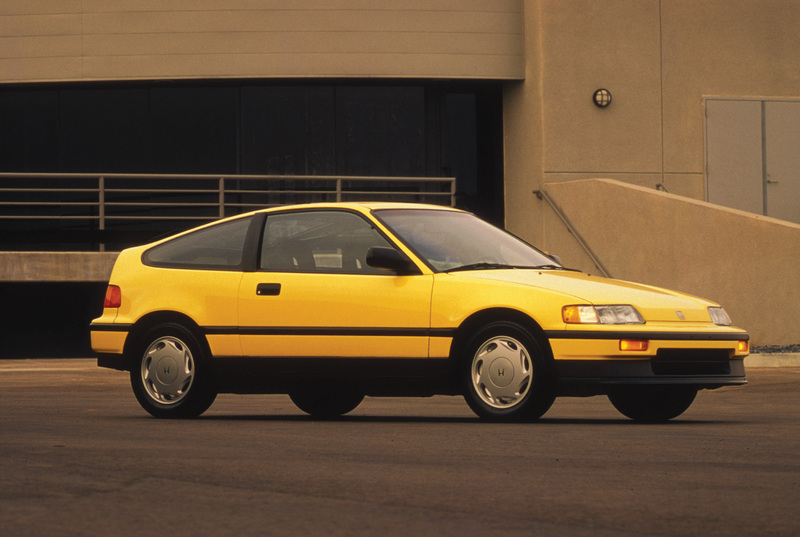 In the next installment, we’ll make the rear mount. Notice how we didn’t describe the wall thicknesses of our fabrications? Or that we didn’t get into much detail about exactly how we made our decisions during the swap? That’s because we’re saving all of that for a future story. Spoiler alert: It involves math and science. 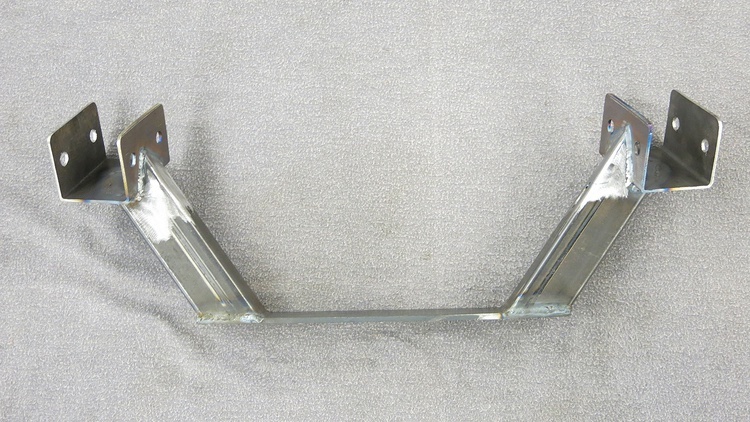 Can you advise whether you welded the plate with the crush tubes in place?